Inspired by adventure, the All New Toyota RAV4 is designed to deliver a responsive and fun drive while being true to its SUV heritage, effortlessly taking you where you want to go. Its distinctive exterior and refined interior are matched by advanced safety features as standard and the refined cabin is spacious and comfortable. 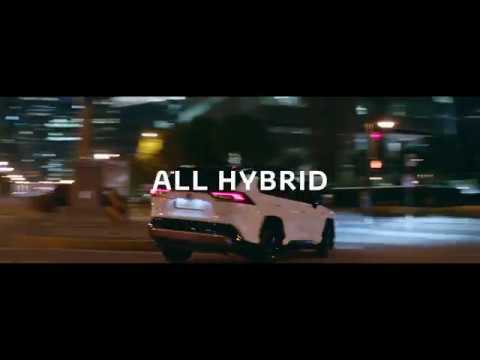 With the new powerful 2.5 litre petrol hybrid powertrain, the RAV4 delivers for all conditions and will be in Toyota showrooms from February 2019. The All New Toyota RAV4 is inspired by an extraordinary sense of adventure. Its new design cleverly combines high ground clearance with a low roofline and bonnet increasing driver visibility. With its chiselled lines and bold profile, this is an SUV that’s sure to stand out. What’s more, the RAV4 is designed with a low centre-of-gravity to create better stability and responsive handling, making it exceptionally fun to drive. The All New RAV4 interior is thoughtfully practical, with a substantial boot space with handy touches like the boot lid hook and reversible boot liner to help you keep things tidy. For the driver, better visibility and a heated steering wheel, which is standard on the Excel grade, make for a more comfortable journey, while passengers will appreciate the soft-touch materials and premium interior. The generous legroom, an opening panoramic sunroof, which is optional, and blue cabin lighting create a calming sense of space and the quiet hybrid engine helps maintain this peaceful atmosphere.